Ash Wednesday is tomorrow, and I’ll begin once more the time-honored tradition of giving something up. I know that there’s a general feeling of, “well, giving up a particular food, etc. isn’t going to make me a better person,” and I get that. But one of the main points of Lent, as I understand it, is sacrifice. And what counts as a sacrifice to you, or what will make an impact on you, is a personal decision. That said, I’ve decided this year to give up something new. It may not sound like much, but it’s kind of a big deal to me. This year I’m done rationalizing. 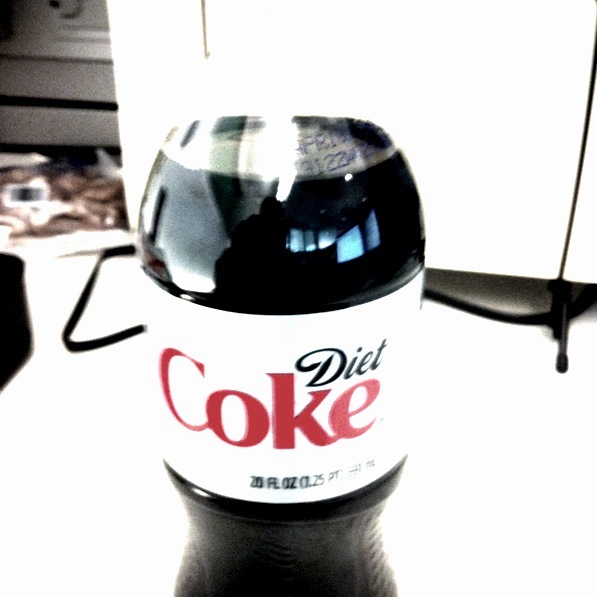 I drink Diet Coke like it’s water. I have one every morning, like coffee, and usually another one (or two) throughout the course of the day. Particularly during classes. I realize that terming this a sacrifice may seem extreme. But think about something that you have or do every day, something that’s part of your routine. Now think about stopping cold turkey. I can’t imagine that it’s easy – and I don’t think it’s supposed to be. So, in the spirit of Mardi Gras indulgence, I’m sipping on my current Diet Coke, knowing it’ll be my last until Easter Sunday (April 24th). And I’m prepared for the headaches and the caffeine withdrawal (I think). I’m just not sure that the boyfriend’s prepared to deal with me like that. Wish him luck – he might need it more than I will. I gave up caffeine a long time ago, though not for lent. The headaches were bad for a while, but once they cleared, I had so many benefits–I can now fall asleep and wake up more easily and naturally, I have my natural energy back, and I’m no longer scary (someone who talks a lot naturally + caffeine= crazytown). It only takes 30 days to build a habit, so who knows? Maybe you’ll be spurred to give it up for good. It’s amazing how much you can grow and change simply by giving up something that others may think of as inconsequential. Although I don’t observe Lent, I think that anything that inspires people to look at their life and decide to make a personal sacrifice is a good start. Good luck to you (and your poor boyfriend :D). Thanks! That’s actually really encouraging to hear about the headaches, and the eventual benefits. And giving it up permanently seems crazy at this point, but you’re right – who knows? Yanno, if I remember correctly, Sundays aren’t actually days of Lent. This I learned from a very Catholic girl I once dated. She gives up chocolate every year, but allows herself one chocolate chip cookie every Sunday. Best of luck no matter how you choose to do your Lent thing. It’s true – Sundays generally aren’t counted in the 40 days. But I think I’d kind of feel like I was cheating. We’ll see how bad these headaches get. I dropped Diet Soda cold turkey last year, and that’s the only way to go! Eventually you don’t miss it anymore, and you find a few extra dollah bills in your bank account. 🙂 Win, win! You gots this, chick.